Sheldon Sharik Souray was born on 13 July 1976, in Elk Point, Alberta Canada, of Metis descent. Sheldon is a retired professional ice hockey player, who is best known as having played as a defenceman for various teams in the National Hockey League (NHL), including the New Jersey Devils and Edmonton Oilers. He played 13 seasons in the league, and even set an unofficial record for the hardest recorded shot in 2009. His playing efforts have certainly helped increase his net worth. How rich is Sheldon Souray? As of early-2016, sources inform us of a net worth that is at $9 million, mostly earned through a successful career in ice hockey. He earned high paying contracts during his career, setting records and acquiring awards. Souray is also known to be a co-owner of a Riviere-des-Prairies pizza place. Sheldon’s family was very supportive of him, and even changed locations so that he could continue to play sports. He attended the Archbishop O’Leary Catholic High School, which was the school of another former Oiler, Fernando Pisani. Souray played for the Fort Saskatchewan Traders in the Alberta Junior Hockey League or AJHL, before deciding to join the 1994 NHL Entry Draft. He was picked 71st overall by the New Jersey Devils, but only started playing in the 1997 season. He became noticed in his rookie season and proved that he could compete in the league, including making a tie-breaking shot against the New York Rangers. In the following years, he would establish himself as a great defender and a hard shot, but was eventually traded to the Montreal Canadiens. By 2000, Souray was starting to improve his offense and started to establish new career highs. However, injuries kept him back for the first few years with Montreal, only playing a few games per season until his breakout season in 2003. His power and so play-time increased and he was given the chance to become a part of the 2004 All-Star Game, his first. During 2004, the NHL had a lockout, and he opted to play for a while for Farjestad BK, and later Team Canada for the 2005 IIHF World Championships. By 2006, Sheldon became one of the top players in defencive positions, and was given another All-Star Game appearance. He became a free agent during 2007, and eventually signed with the Edmonton Oilers with a five-year, $27 million contract, boosting his net worth significantly. He was however riddled with injuries until 2008, where his performance would boost him again to become an NHL All-Star. During the 2009 skills competition, Souray clocked in one of the hardest shots in the NHL which was only surpassed in 2012. During the 2010 season however, he again suffered numerous injuries, and things led to a sour point as Souray wanted to be traded and the team responded negatively at that. Sheldon was demoted to the minor leagues and the American Hockey League, and the Oilers bought out his final season so that he could become an unrestricted free agent. He was signed to a one-year contract with the Dallas Stars and made a comeback, becoming more of a defensive player than usual. 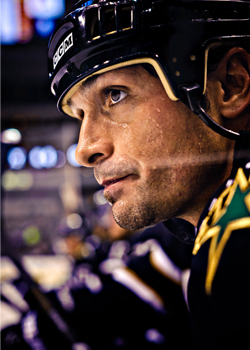 The Stars were very careful with his health and it resulted in more consistent and powerful play from Souray. After his contract expired, he was signed to a three-year $11 million contract with the Anaheim Ducks, and helped them qualify for the 2013 Stanley Cup Playoffs, scoring his 300th career point. He became injured shortly after that run, and after becoming a free agent for two years, announced his retirement. For his personal life, it is known that Sheldon was married to actress Angelica Bridges from 2002 to 2007 and they have two daughters. His recent marriage is to Barbara Blank, better known in the wrestling world as Kelly Kelly; they married in 2016.